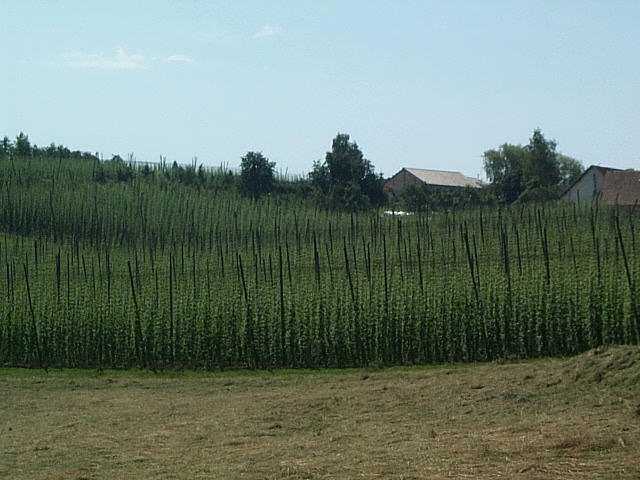 The Kronenbrauerei in Tettnang and the Tettnang Hop Museum in Siggenweiler mark the beginning and end of the four-kilometer Tettnang Hop Trail – “from farmer to brewer”. 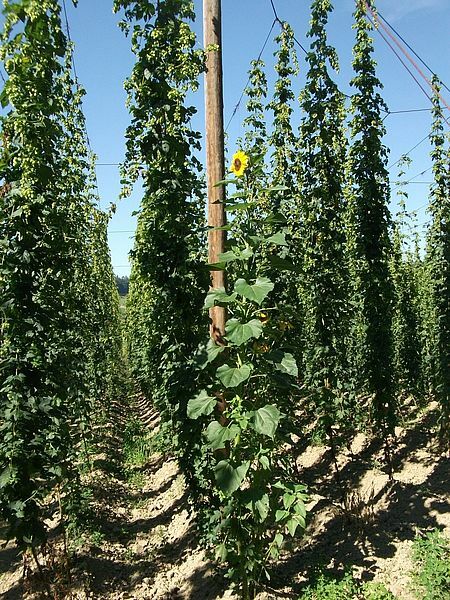 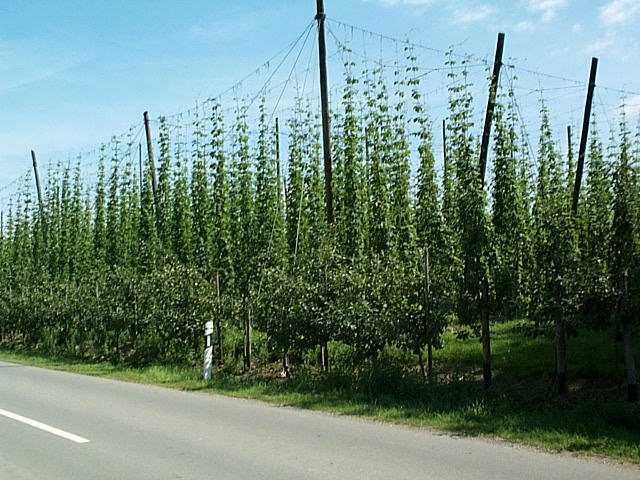 The Tettnang Hop Trail is set against a backdrop of unspoiled countryside, winding through hop gardens and orchards. 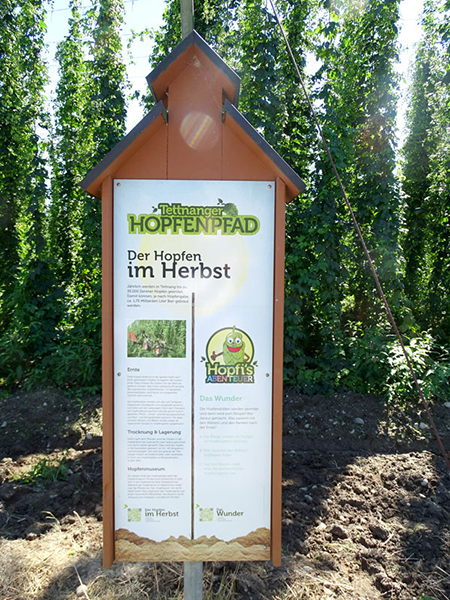 Information boards at the edge of the path provide walkers and cyclists with an initiation into the secrets and features of hop cultivation and the art of brewing. 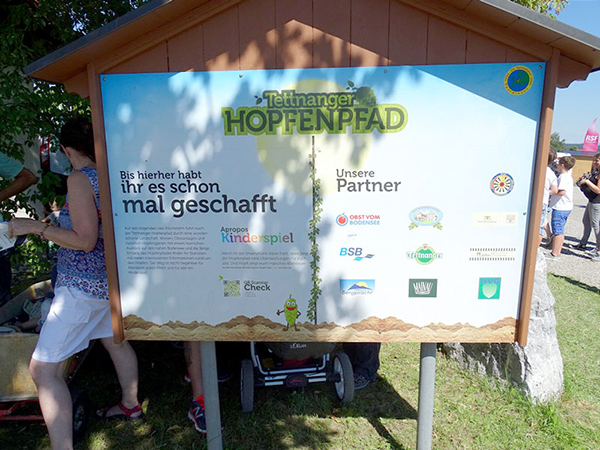 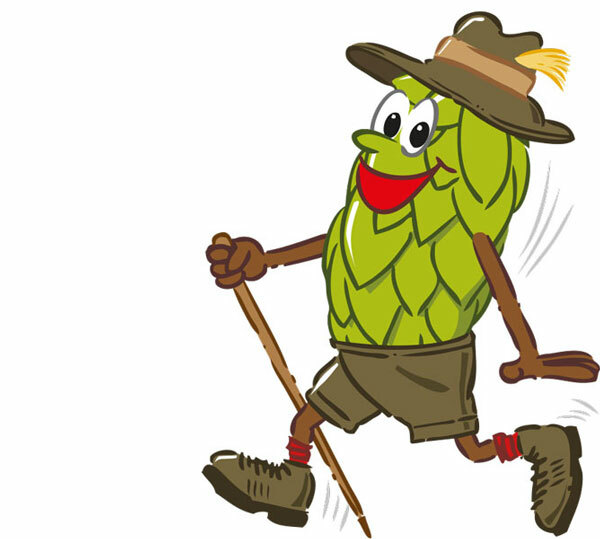 You’ll find further information on the website Tettnang Hop Trail.